Finney-Smith had 15 points (7-9 FG, 1-2 3Pt), 10 rebounds, two assists, and one steal in 20 minutes during Tuesday's 120-109 win over the Suns. Finney-Smith produced his second straight double-double and third of the season, this after logging just one across his first two years (102 games) in the league. He'll look to finish the campaign on a high note during Wednesday's season finale versus the Spurs. Finney-Smith supplied 16 points (6-19 FG, 1-9 3Pt, 3-3 FT), 12 rebounds, and three assists in 40 minutes during Sunday's 129-127 overtime win against the Grizzlies. Finney-Smith earned a team-high minute total and wasn't shy about firing away from beyond the arc. Furthermore, he hauled in a career high rebounding total while recording his second double-double of the season. Finney-Smith hadn't posted a double-digit point total in any of the last nine games, so it may not be wise for fantasy owners to expect a repeat performance with just two tilts remaining. 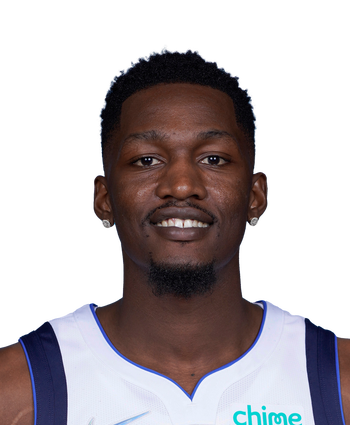 Still, he's at least worthy of consideration in daily leagues for Tuesday's matchup versus the lowly Suns. Finney-Smith (lips) will play Friday against the Grizzlies. As expected, Finney-Smith will be available off the bench for Friday's clash. He's averaging 4.9 points, 2.8 rebounds and 1.0 assists over his previous eight matchups. 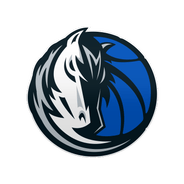 Finney-Smith (lips) is expected to play Friday against Memphis, Dwain Price of the Mavericks' official site reports. Coach Rick Carlisle is optimistic about Finney-Smith's chances of playing Friday night, even though the Florida product isn't perfectly healthy. "I think there's a good chance you'll see him tomorrow," stated Carlisle. "It's not 100 percent, but I think it's better than 50-50." Finney-Smith suffered the injury during Monday's clash with Philadelphia and required stitches after taking a blow to the mouth. Finney-Smith (mouth) is considered questionable for Friday's game against the Grizzlies. Finney-Smith took a shot to the mouth in Monday's game against Philadelphia, and he missed Wednesday's loss to Minnesota after receiving stitches in his lip. He's apparently still dealing with some discomfort, so the Mavs will keep an eye on him as game-time approaches.